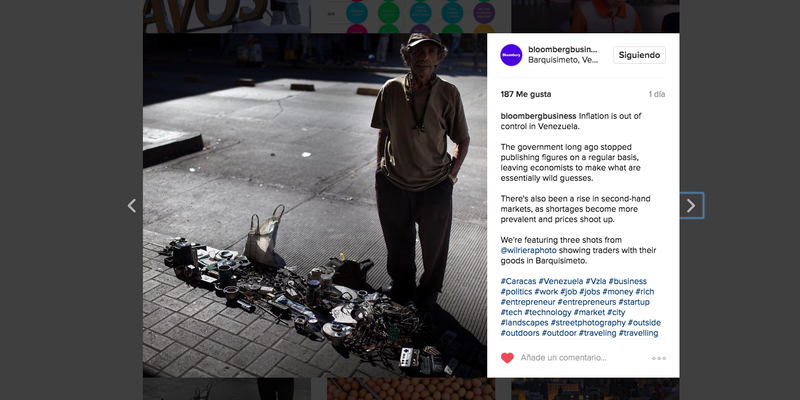 I am glad to share that yesterday Bloomberg Bussines featured three of the images belonging to a reportage about Venezuelan crisis. "In Venezuela, years of economic mismanagement coupled with plunging oil prices have generated chronic shortages of everything from chicken to car parts. The country also has the world's fastest inflation, and there's been an increase in the number of market stalls selling second-hand goods and repairing existing products"